Hi how are you all? 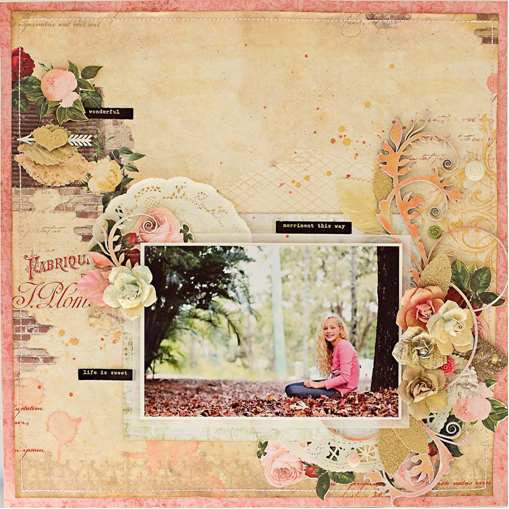 Rikki here with a mixed media layout today for Your Creative Wings. Got to love the wintry cold, but some of you in the east might not be so happy with that statement, but its a perfect time to stay indoors and get your scrap on and to get out your stash of Your Creative Wings chipboard out. 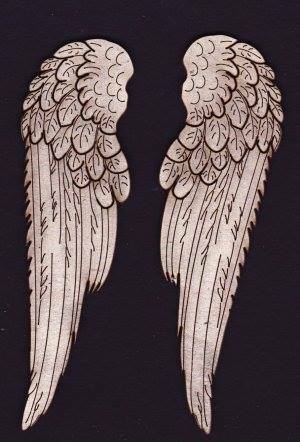 Your Creative Wings products used: Alphas #1 YCW5006, Angel Wings YCW3047, Word Discs - Documented YCW1095. Its always nice from time to time to leave chipboard in the raw form..... and your can't go past some Alphas #1 YCW5006 to have in your stash to custom your own titles. 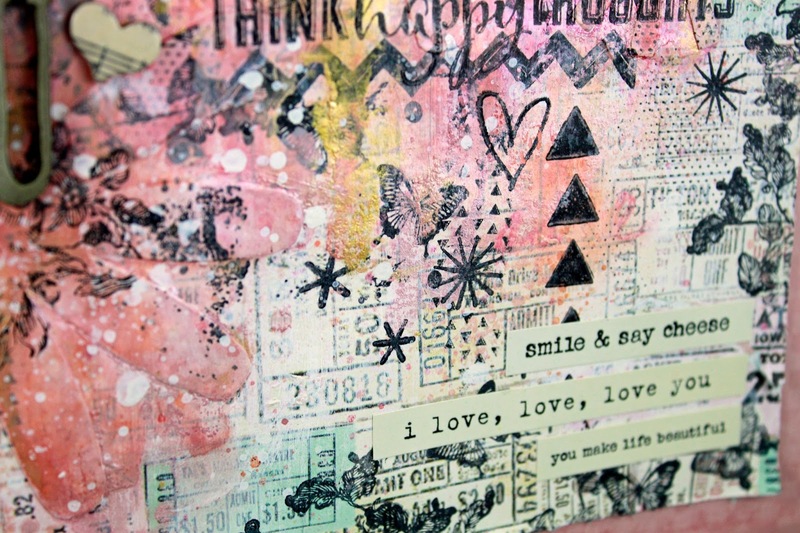 How cute is the YCW Documented chipboard? that is the perfect finishing touch. 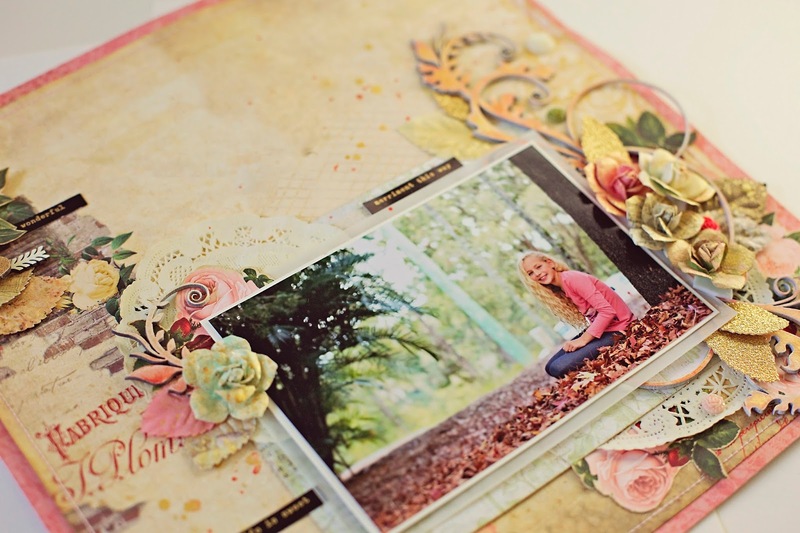 My layout was inspired by the beautiful warm and colourful tones of Autumn. Living in Queensland, we don’t get a true Autumn, but there are certainly some beautiful trees around and each year I try to photograph the kids with some of them. 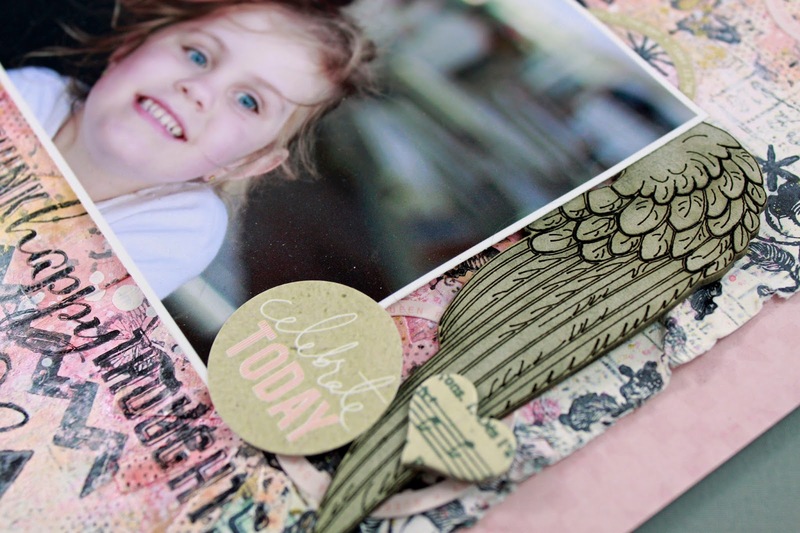 Today’s layout features one of the photos I took of Lily last month. I love how certain patterned papers these days feature an almost ready made background. These types of pages are perfect as a base for building your design. I have used a mix of Bo Bunny and Prima papers. 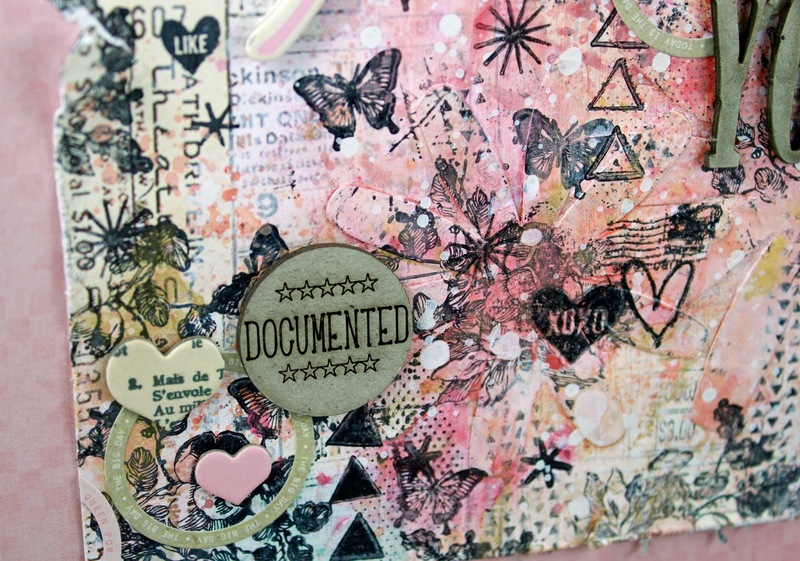 I loved the Bo Bunny paper and enhanced it by using texture paste and a stencil as well as sprays of colour shine. 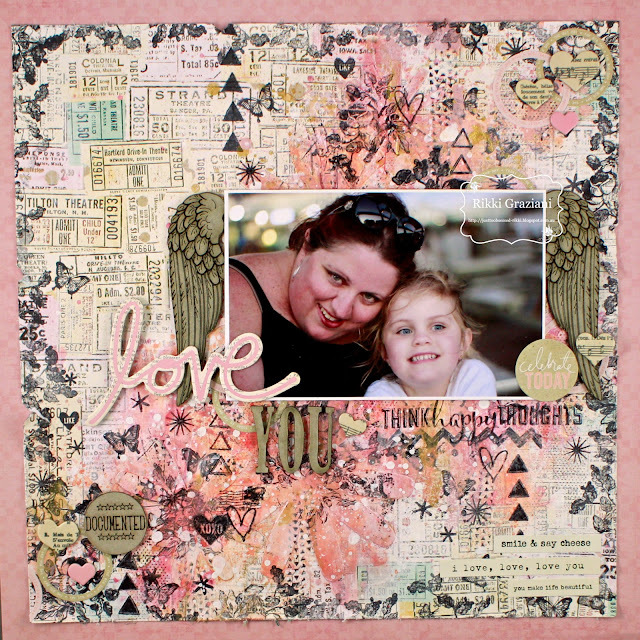 I decided I wanted quite a large chipboard piece for this page and I chose this gorgeous circle frame piece. 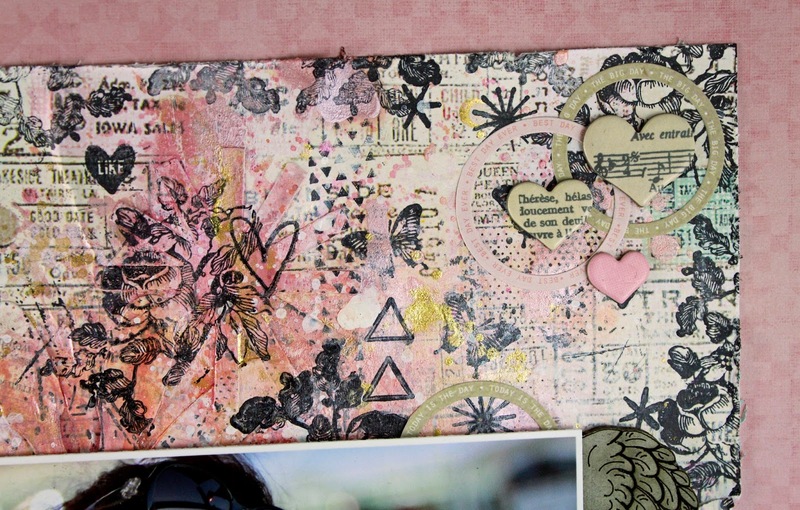 I haven’t used it as frame, but more a base to anchor my other embellishments. I treated it by firstly painting it white and then spraying with peach, gold and pink colour shines. I used my heat gun to dry it. I cut off a little piece of the chipboard so that I could add a swirl on the other side of the photo also. This helps balance the design. The hearts and arrow chipboard set is a favourite of mine. Here I have used just one arrow and heart in the top left corner on the page and it adds the perfect final detail. 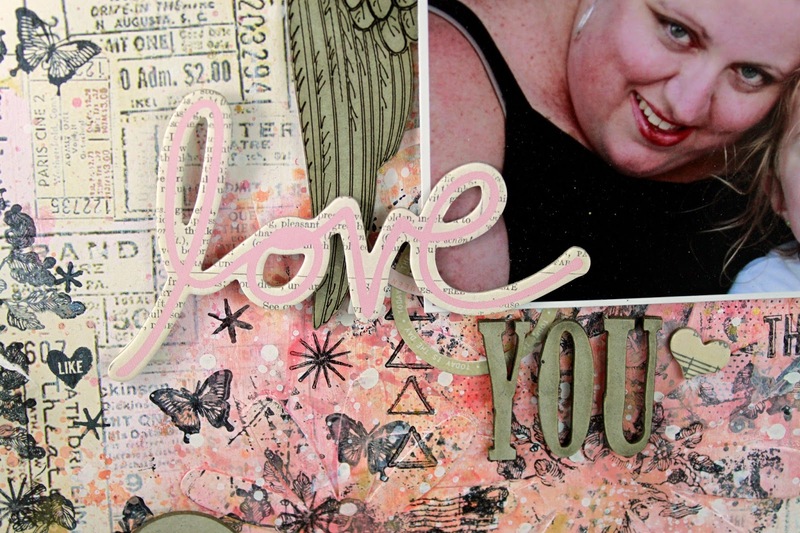 I simply painted the arrow cream and covered the heart using gold glitter cardstock. Your Creative Wings Products used: Frame Flourish YCW6026, Hearts n Arrows YCW4019. Other products used : Papers and Die-cuts: Bo Bunny, Prima, Cardstock: Bazzill, Flowers, Leaves and Resin Flowers: Prima, Word Stickers: Crate Paper, Doilies, Distress paint, Colour Shine, Vellum, Texture Paste, Stencil. Although the website is closed for a couple of days due to maintenance, pop by next week and see what other new goodies Your Creative Wings has in store. 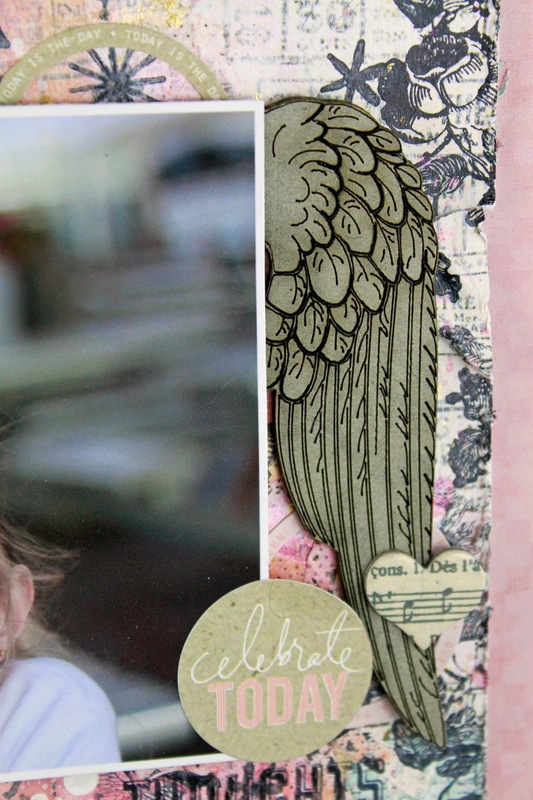 We're excited to announce another Aussie scrapbooking store has embraced YCW. All photos, designs and text content © Your Creative Wings 2014. Simple theme. Powered by Blogger.